There is nothing more inviting than a comfy and made bed at the end of a long day. You pull pack the covers and, oh, what is that amazing smell? 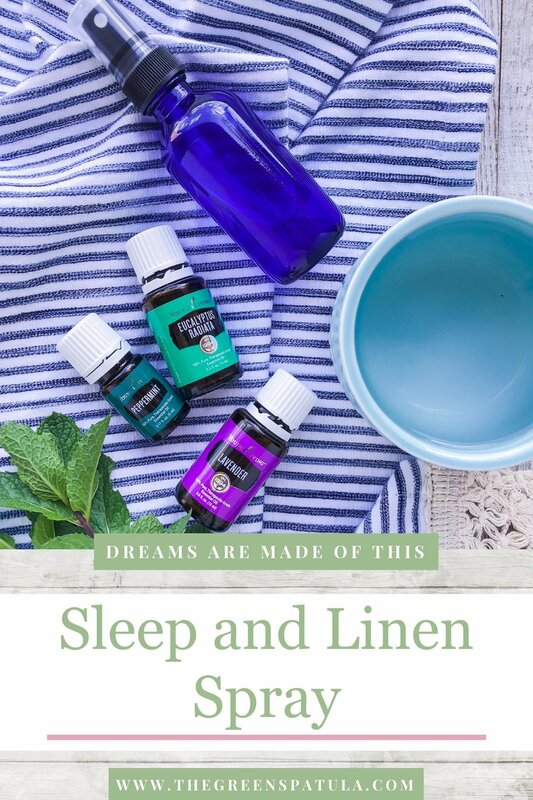 That would be the essential oil spray you just used to freshen up your sheets. You then sink into your bed's soft embrace and your head hits the pillow. As you snuggle into a comfy position, you're instantly transported to a lavender field in the South of France. The warm afternoon breeze picks up the lavender's calming scent and envelopes you with a sense of peace. Then, a hunky and shirtless Frenchman comes towards you, sweeps you off your feet, and.... Wait, I think that's you already dreaming. I'll just leave you to it! Lavender's natural calming properties have a magical way of letting your body know that it's time for rest. The peppermint and eucalyptus help purify the air around you so you can start breathing deeper and clear your mind. I love spraying my sheets before I get into bed at night as it reminds me to relax, breathe, and let go of any stressors. 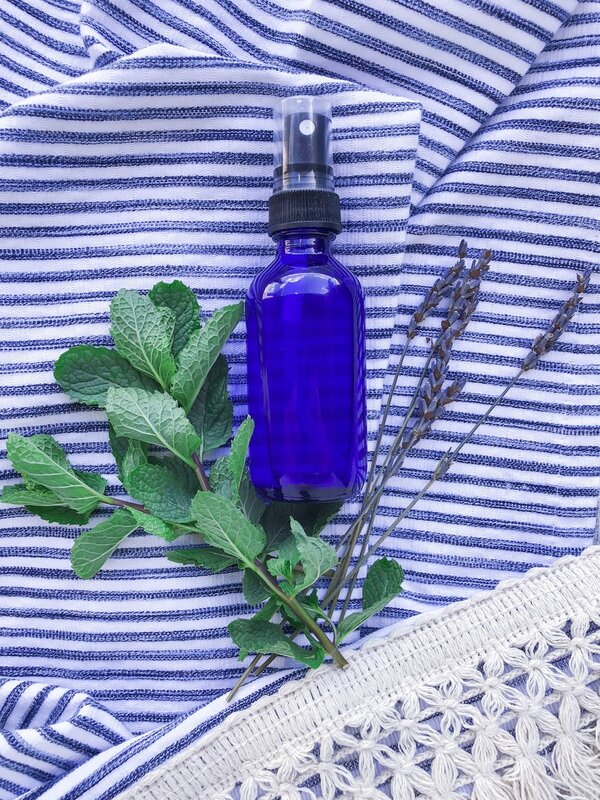 Make yourself your own sleep spray concoction and help yourself quickly and peacefully drift off to sleep (hunky Frenchman not included). Drop the oils into a glass spray bottle and top with fresh water. Spray sheets before making your bed and right before you go to sleep to infuse your sheets with the scent. Reapply as desired. I enjoy spraying my pillow just as I am about to lay down. It makes for such a relaxing night sleep! Good quality sleep is at the foundation for improving your health and wellness as it impacts our metabolism, focus, drive, hunger cues, memory, mood, and immune system. I believe in the power of sleep so much that I created a 4 week bootcamp to help you start sleeping better so you can start feeling your best. Participants saw not only their sleep improve but also reduced anxiety, cut back on their caffeine intake, and felt less groggy and moody during the day (click here to read their stories). I'll be running the next round of this bootcamp in September so make sure to sign up for the waitlist to be the first to know the details. Have a terrific night sleep!